Seinfeld enthusiasts gather around the TV, because it’s time to celebrate the 25th anniversary of the show (wow, it’s really been that long). 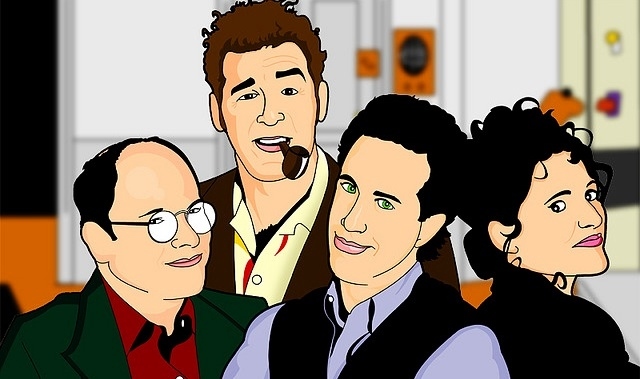 Starting on June 30 and continuing through July 5, TBS will add one hour to their programming block to include the 25 most famous episodes from the nine seasons Seinfeld was on air. Usually, the network shows back-to-back episodes starting at 7pm every night, but now that will extend and start at 6pm for the next week. To end the week, on July 5th, TBS will run a marathon featuring five classics, including episodes “The Contest,” “The Outing,” “The Junior Mint,” “The Puffy Shirt” and “The Yada Yada” to commemorate the exact day the show debuted in 1989. Not a week goes by where we don’t watch Seinfeld anyway, so you know we’ll be glued to TBS this next week and celebrating with Jerry, Elaine, George and Kramer. Long live Seinfeld!